What to Expect At Your Microblading Appointment? First the microblading artist will assess the client’s lifestyle and taste. Do they want something bold or natural? Do they wear makeup everyday or just special occasions? What face shape does the client have? 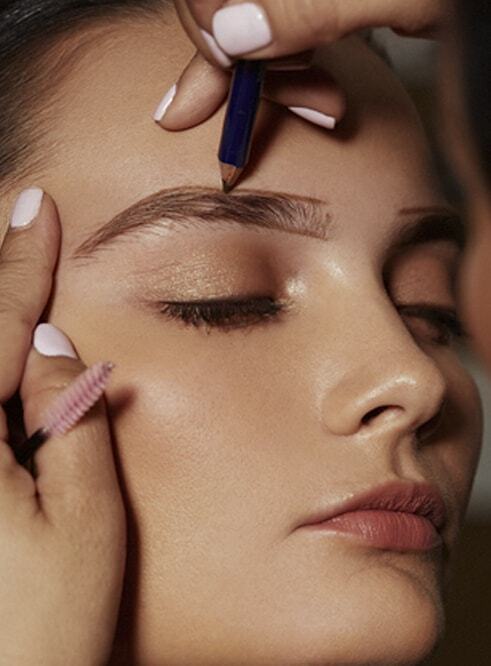 This interview will help the artist create the best brows for their client. Next the artist will draw the eyebrows directly on the client’s face with a waterproof eyebrow pencil. This will be the artist’s guide for the microblading procedure. This also allows the client to see the final look before any permanent work is performed. Now the artist begins microblading, according to the drawing they’ve agreed upon with the client. Once the microblading is finished, there is lots of extra ink remaining on the client’s face. The artist wipes it off with a baby wipe and the client can see their new eyebrows! Except for some redness, the client will be ready to go back out in public, no problem. Whether or not your artist keeps a fine Instagram like ours, all microblading artists photograph their work for many reasons, not the least of which, to have a record of their own art! Microblading typically requires a second touch up appointment, because all client’s skin is different and receives the ink differently. It’s impossible to accurately predict how a pigment will be affected by a client’s undertones.